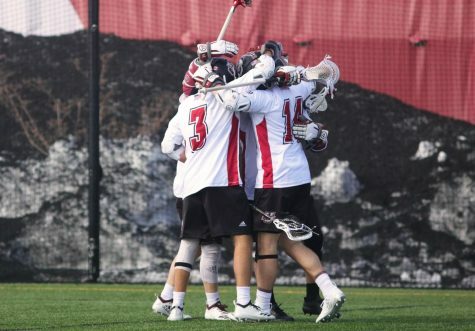 Coming into this season, Massachusetts men’s lacrosse coach Greg Cannella knew he had a strong defense. 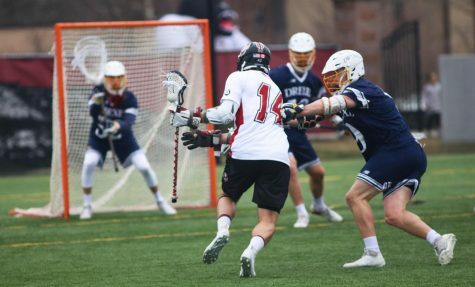 However, now approaching his first conference game in the Colonial Athletic Conference, Cannella’s defensive approach is as important as ever. After their first seven games, the No.18 Minutemen (5-2) lead the CAA with 14.14 goals per game. Their 60 assists rank second in the conference but No. 6 Hofstra (4-1) nearly matches UMass in each of those categories, besting the Minutemen with 8.8 assists per game. 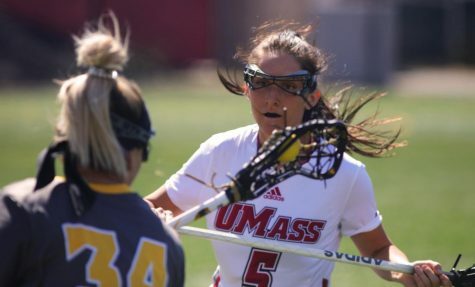 Last season, UMass won games by an average of 4.6 goals, and their current margin is plus-4.4, but the Pride hold a larger win margin of five this season. The Minutemen are holding their own defensively this season as well. 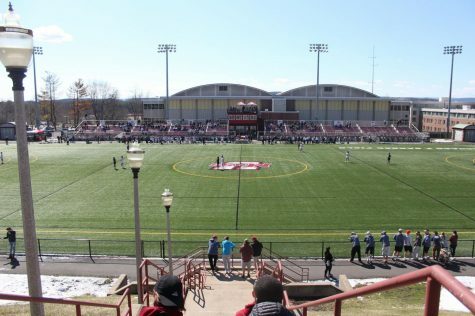 UMass averages a conference-best 11.86 caused-turnovers per game, nearly five more per game than Hofstra. Now in a conference full of perennial NCAA tournament teams, Cannella isn’t shying away from the notion that his defense will be consistently tested for 60 minutes. 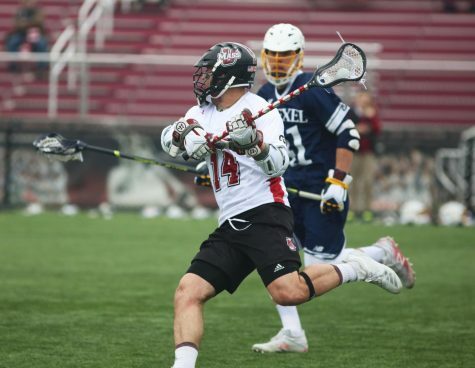 Running the UMass defense this season is redshirt senior All-American Diogo Godoi and sophomore Tom Celentani. 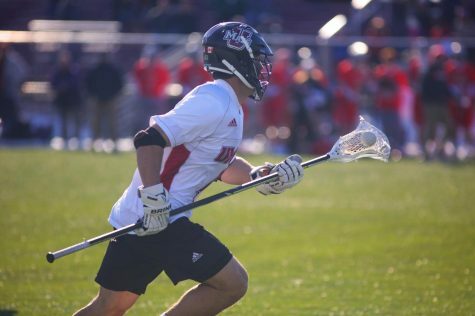 Godoi (13 ground balls, 11 caused-turnovers) is a consistent veteran for the Minutemen with his physical defense and Celentani is taking advantage of his first full season of significant playing time. Celentani leads all Minutemen with 20 caused-turnovers while starting every game this season for Cannella. 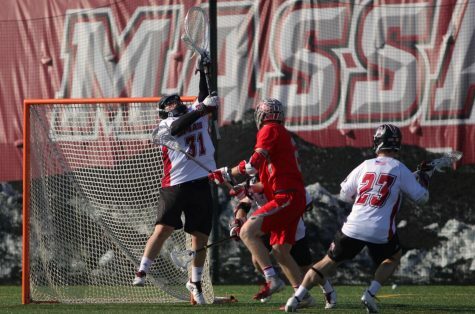 The two defenders provide UMass with a strong front in front of first-year starting goalkeeper Tim McCormack. Even with defense being a strong point for the Minutemen so far this season, special-teams goals have hurt UMass early on in the season. The Minutemen have a conference-worst .414 penalty-kill percentage, giving up 17 man-down goals. Cannella believes that the experience that the Minutemen get from those misfortunes help them for the future. 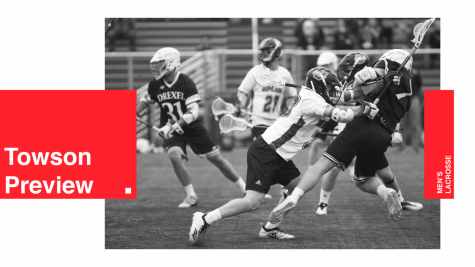 While a lot of the pressure on defense lies on the goalie and defensemen themselves, midfielders have an important role on defense as well. 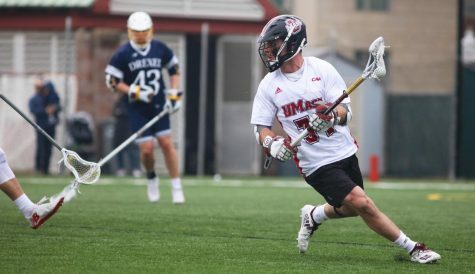 Sophomore midfielder Greg Rushing has 72 faceoff wins in 122 chances and his team-leading 31 ground balls makes for a strong game in transition for the Minutemen. His .598 faceoff percentage is third in the CAA behind Charley Henneghan (.658) of Penn State and Zak Fisher (.605) of Drexel.